When Rick and Christi Coffey decided to open an upscale pet hotel in Indianapolis, they began as any good project begins, with research from nose to tail. As longtime pet owners always seeking the best for their own pampered pets, they thought something was missing in the marketplace. Rick and Christi traveled across the country to visit upscale pet care facilities and took notes along the way. Barkefellers is the result: the best of what they saw combined with the pieces that were missing. Barkefellers soon became a family affair as two of the Coffey’s grown children, Jordan and Krista Beth, became part of the organization. Their Schnauzers, Max and Emma, are always eager to help too. Barkefellers has emerged in the pet care market, and the Coffeys are ready to add new family members via pet franchise opportunities. 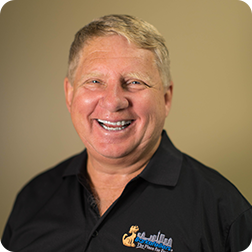 This is the best of both worlds: a singular brand with the Barkefellers system and credibility, plus the local control of dedicated franchisees. Pet owners will not sit-and-stay much longer… they need Barkefellers! We treat our guests with the same affection and care that we would want our own pets to receive. In addition to immaculate, comfortable suites, multiple visits to private outdoor potty yards, and twice-daily room service, our guests can expect plenty of personal attention from our staff. They can also expect daily activities designed to keep both mind and body happy and healthy for the length of their stay. Customers in the local market where we began – Indianapolis, Indiana – have voted us Best-In-Show! The dream began with Rick and Christi traveling across the country to visit upscale pet care facilities. Our family includes daughter Amanda, son Kyle, son Jordan, and daughter Krista Beth. They attended Center Grove High School and the various colleges of Purdue, Wabash, IUPUI, and IU. Our family has also grown in recent years with the addition of two beautiful granddaughters! Krista has been an integral part of Barkefellers since we opened in May of 2009. 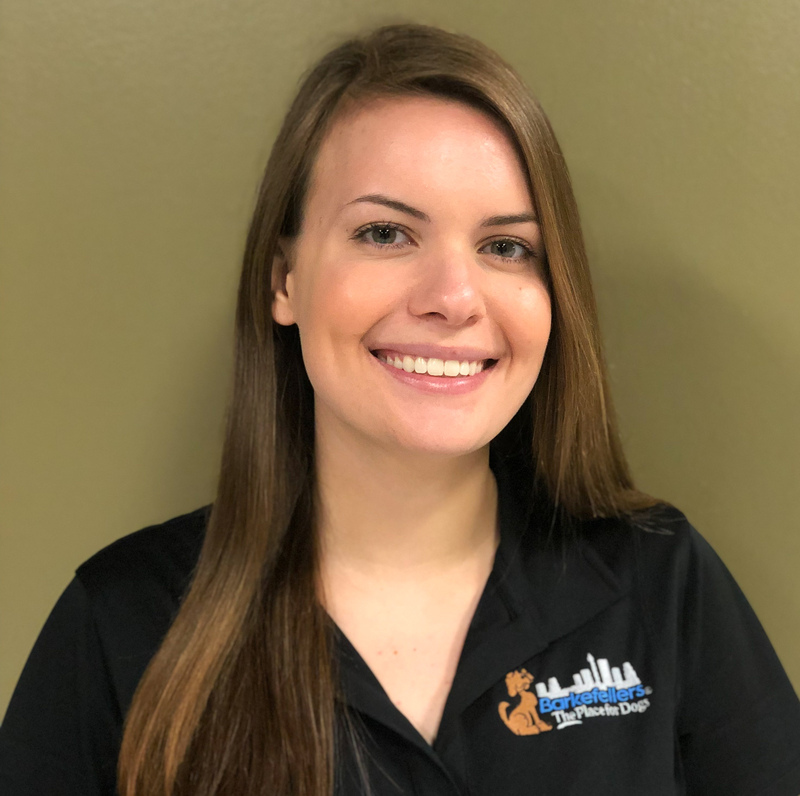 She is a graduate of Indiana University where she earned a Bachelor’s Degree in Speech Language Pathology, with two minors in Psychology and Human Development Family Sciences. She first became interested in pet care through her experience with her own family pets. Now Krista has three dogs of her own; Tanner, Woodson and Crosley – all Beagles! Krista’s attention to detail, along with her warm and caring nature, ensures that every Barkefellers guest feels right at home! 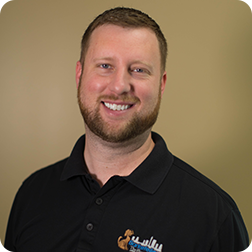 Jordan’s tenure with Barkefellers began before the doors ever opened – as part of the team that turned the former church facility into “The Place for Dogs!” He is a graduate of IUPUI where he earned a Bachelor’s Degree in Business Management. Jordan has two dogs of his own; Kratos, a Lab mix and Duke, a Mastiff. His calm, confident manner makes him a favorite friend of both our furry guests and their owners as he works to make sure they have the best possible experience at Barkefellers. Kelly joined our Barkefellers family in June of 2014, bringing over twenty years of Human Resources experience from the Healthcare industry. 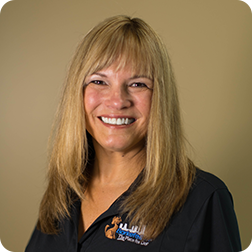 She is a graduate of University of Phoenix with an Associate’s Degree in Healthcare Administration as well as Sierra College in Rocklin, CA with a Certification in Medical Technology. Kelly is (not surprisingly) a real dog-lover! She and her husband Vern are currently raising two 2-year-old white Schnauzers named Hank & Willey, who love to come to work with ‘Mom’ and play in Day Care. Hank & Willey were preceded by Fred – a grey miniature Schnauzer – and Maybelline – a Yorkshire Terrier, who crossed over to the Rainbow Bridge a few years ago and who Kelly and Vern still miss every day. When she isn’t at work or spending time with her dogs, Kelly enjoys zip-lining, ski-doing, antiquing, and flower gardening. 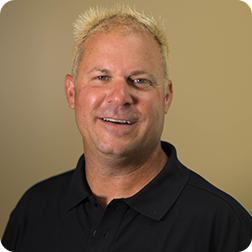 Kyle joined the Barkefellers team full-time in August of 2012. He is a graduate of Center Grove High School and attended Lincoln Technical Institute. Kyle has been around animals all his life. He has shown cattle and cared for over 100 head! He’s currently owned by a 3-year-old Boxer named Max and a 1-1/2-year-old Boglen Terrier named Diesel. In his free time, Kyle enjoys repairing and remodeling homes. You might also see him out and about riding his motorcycle! Roxie has been a Barkefellers staff member since April of 2012. 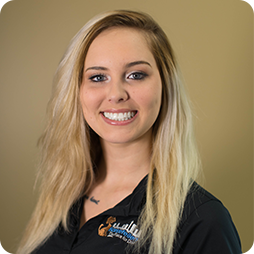 She is a graduate of Ben Davis High School and is certified as a Dog Trainer through Animal Behavior College. Roxie brings a great deal of diverse experience working with dogs to our Barkefellers team. From training hunting dogs with her father as a child to her formal education in dog behavior and training, Roxie has helped to improve the behavior and lives of countless dogs over her career. Her deep understanding and love of dogs is felt by each furry guest she cares for! When she’s not busy training our guests at Barkefellers, Roxie enjoys spending time with her own pack which includes Pixie – a 2 year old Teacup Yorkie and Bailey – 4 year old Australian Shepherd. They go fishing, boating, and camping together and host the occasional ‘dog party’! 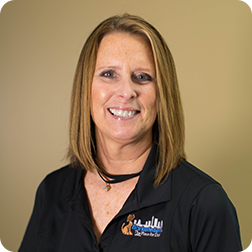 Julie has been a staff member since October of 2015. She began as a Front Desk Attendant at the Northeast facility, and now travels to all of our locations as the Guest Services Manager. She graduated from North Central High School. Julie has a background in exceptional customer service that she brought with her to Barkefellers. She ensures that our customer service expectations are met (if not exceeded!) in our daily operations and training of new hires. She currently has two cats named Dexter and Moser, a Ball Python named Sunny, and a Russian Tortoise named Draymond. She has a love for ALL pets and says she knows how much compassion and energy goes into taking care of them everyday. 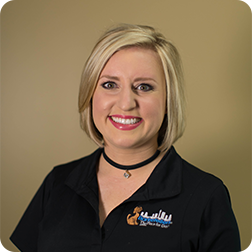 Julie says that’s why her job is perfect because there’s no place she would trust more than Barkefellers to watch her fur babies, and she wants every customer to feel the same way! When she’s not providing top notch service to our guests and their owners, she enjoys perusing art including drawings and paintings, or sitting side-by-side with her husband while they have a little friendly competition on their Xbox or PlayStation. Sarah has taken over a new position here as our Marketing Manager. She graduated from Indiana University with a Bachelor of Arts in Media Advertising and a Minor in Environmental & Sustainability Studies. Sarah has a creative background in graphic design and videography, and manages our marketing materials with both design and strategy in mind. She makes sure that Barkefellers is represented as true to our brand across all platforms. She has been an animal lover her entire life, and absolutely loves working with dogs and cats on a daily basis. She has a 13-year-old Wheaten Terrier named Callie who is her favorite companion. In her free time, Sarah enjoys pretty much anything related to adventure and the outdoors — traveling, backcountry hiking, and kayaking! She is also a self-proclaimed “foodie” who loves cooking and trying out new restaurants.